If one day you cross each other’s path again… maybe it’s for a “hi and hello” or it’s for a second chance to make things right. It doesn’t mean that if you lose someone you’ll never see them again and that you’ll never be able to move on. It may hurt for the meantime or for the longest time. But it will heal. Yes, some will leave a scar (a memory) but it will not hurt anymore. Let time heal the wound. 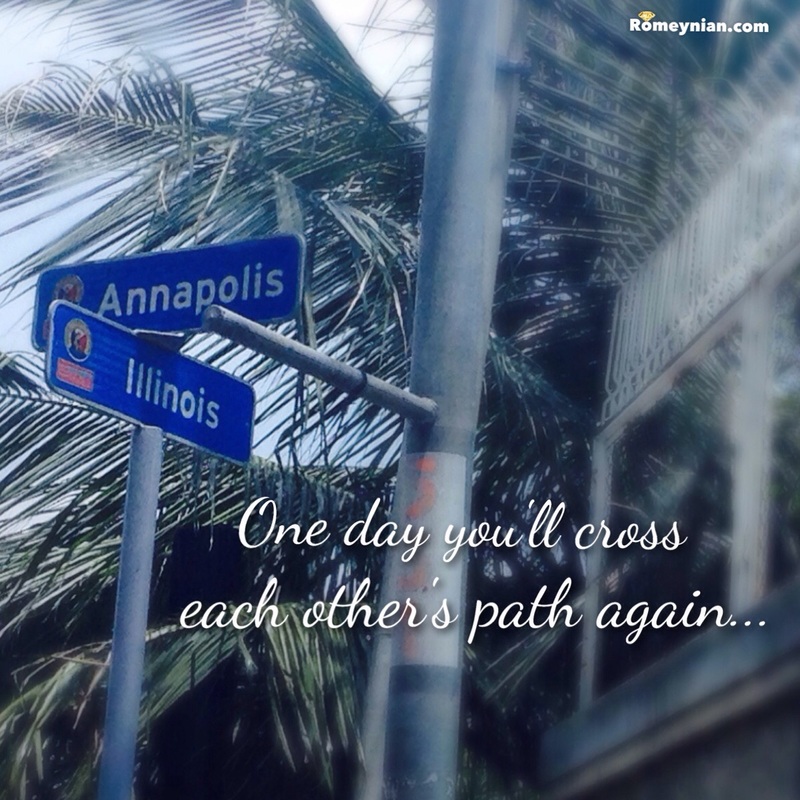 For all you know one day you’ll meet again in your crossroad and who knows what’s next. Keep the faith. Have a sparkling beautiful life.